Our thoughts are with all the people of Haiti after the tragic earthquake. We encourage you to give what you can in order to help the recovery and relief effort. "What we need now is cash to buy water, food, shelter and first-aid supplies. That's what we need. And we need that the next week over and above everything else. They are not able yet to coordinate physical supplies and redirect bodies. So I just want to urge people to donate directly to the agencies..."
The children of Haiti are particularly in our thoughts - some of these children may be fighting for their lives, or may be orphaned and may not have the ability to fend for themselves. 13 January 2010 – The first shipment of UNICEF supplies for survivors of [the] devastating earthquake is on its way to Haiti. The emergency aid is urgently needed, as basic services and infrastructure in the western hemisphere’s poorest nation were already close to collapse even before the 7.0-magnitude quake struck. In a statement to UNICEF’s Executive Board, which is meeting in New York this week, Executive Director Ann M. Veneman reaffirmed the agency’s determination to respond effectively to the crisis in Haiti despite the many challenges ahead. 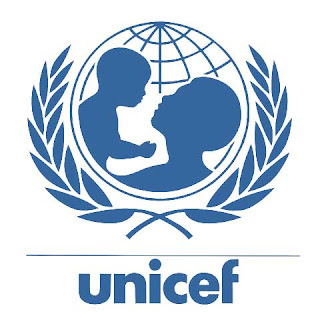 If you choose not to give to UNICEF, here are some other organizations that could use your donations. No matter what the amount - please donate to the recovery and relief effort.